Vilnius, May 22nd. On May 19, 2015, Virtonomics hosted the 1st ever Baltic conference: “Improving Study processes by integrating business simulations” organized by the Lithuanian Association for Quality Management and Innovations. The conference was held at the National Open Access Scholarly Communication and Information Center in Vilnius, Lithuania. The event showcased the value, economic impact, and contribution of Virtonomics to education. The key note speakers talked about the impact of gamification and business simulations on education. The goal of the event was to present the implementation results of an online business simulation powered by Virtonomics into the course of Quality Management taught at Vilnius University. The participants – students, educators and simulation developers – presented their virtual and practical experience gained during the project. The uniqueness of Virtonomics’ business game was showcased s to the educators. The game’s virtual economy was unveiled as its key distinguishing feature. The economy that is not computer simulated, but rather created by its players. As in real life, players venture into Retail, High Tech, Manufacturing, Agriculture, Medicine, etc. and choose their own business goals, strategies and tactics. The purpose of the game is to create a profitable and competitive business. Each player receives a starting capital, which can be used to develop a virtual company according to their own unique scenario. Additionally, the corporate education and training online platform Simformer was presented to the audience. Namely, the possibility do develop courses for international digital market. Both the presentations of Simformer and Virtonomics combined with a sample business simulation impressed the audience – educators from Vilnius University, Vilnius Gediminas Technical University, Siauliai College, and Social Science College. 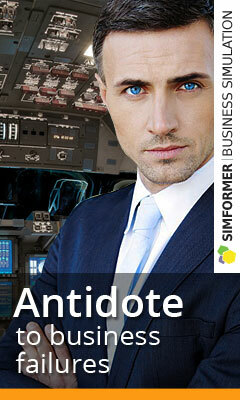 Virtonomics is a strategic online business game that gathers over 1 million players worldwide. The game unifies multitiered business and company management simulation (17 interconnected main business processes, 141 subsidiaries), multidimensional global business simulation (25 industries, 203 products to produce, 33 countries, 300 cities), social simulation and virtual economy. 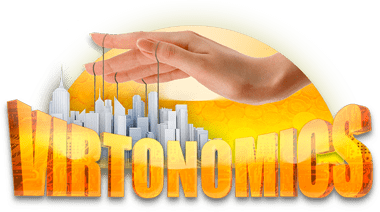 Virtonomics is an unparalleled online environment for individuals to develop business orientated hard and soft skills, communicate, make connections, and have fun. Simformer is a unique platform based on Virtonomics, which provides opportunities to develop serious business games, simulations, e-learning courses and trainings for both businesses and academics.